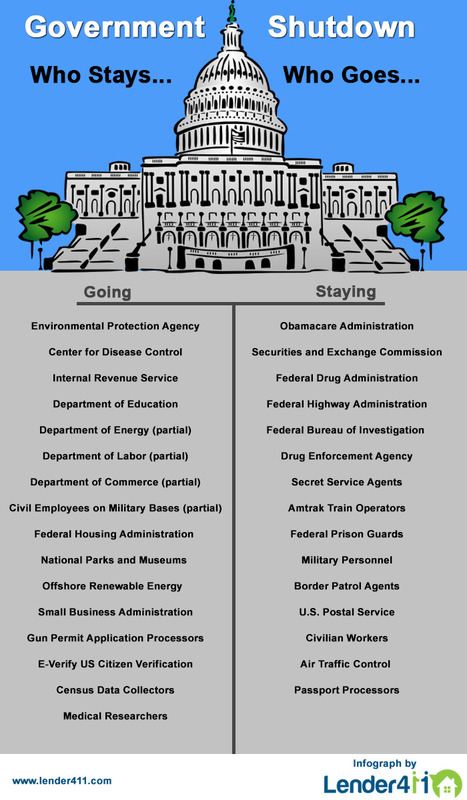 Infographic: Government Shutdown - Who Stays and Who Goes? The #GovernmentShutdown begins today, October 1st 2013. This infographic details the areas of the government that are out of operation until the furlough period ends.